I’m always a little concerned when I have a ‘Bay Rum’ product to test, I get the scent of Clove from Bay Rum and I hate Clove. However Big Dobs ‘Bay Rum’ Beard Balm doesn’t have that Clove scent and I can finally enjoy a Bay Rum beard care product! Created by Alan Dobmeier, Big Dobs is produced in Omaha, Nebraska from a blend of Shea Butter, Cocoa Butter, Beeswax, Jojoba Oil, Almond oil, Argan Oil, Tea Tree Oil and Vitamin Oil into which the essential oil is added to create the Bay Rum Scent. Big Dobs ‘Bay Rum’ Beard Balm has citrus scent with that spicy Bay Rum scent and the combination works really well,resulting in a very masculine scent. A medium hold balm that kept my beard looking good and with a scent that lasted through the day. The balm has a nice consistency and made my beard look healthy without leaving it greasy, the ingredients in Big Dobs Balm will help to keep your beard at its best and will also keep your skin moisturised to help prevent that dreaded itch that has been the death of many beards! I actually favour a beard balm now that my beard is getting longer, if like me you have a beard that has stray hairs popping out everywhere, then a balm will help to keep it looking a bit tidier. I am more than happy to recommend Big Dobs ‘Bay Rum’ to my bearded brothers & some sisters. 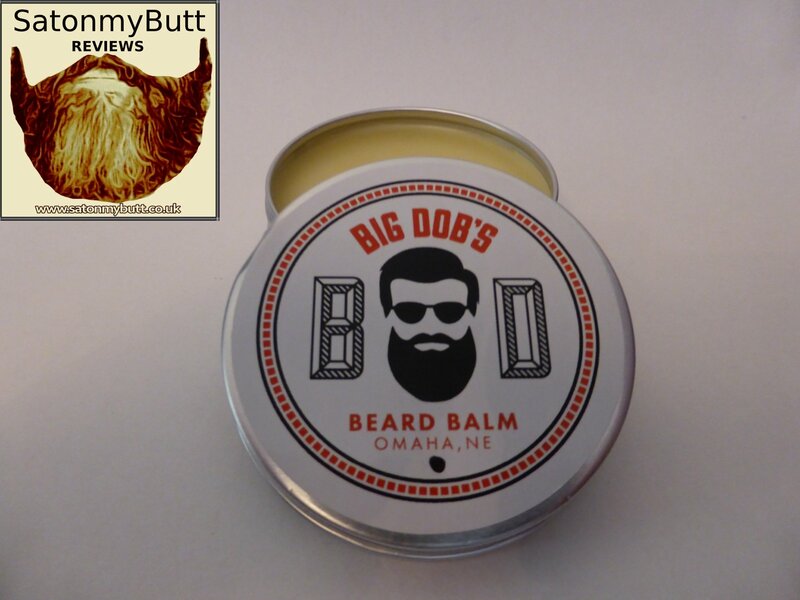 The 2oz beard balm is available from Big Dobs Website for $15 (previously $20). Original – Bourbon and Sandalwood for a unique scent. Classic Man – Cedar and leather for a classic barbershop fresh scent. Cool Mint – A distinct mint scent with a cooling effect. You can also keep up to date with Big Dobs on Twitter, Instagram and Facebook.